These are the best quality available and made from natural sugarcane and bamboo. Our BioSelect School Trays are 100% biodegradable and 100% compostable. Bagasse is made from sugarcane stalks naturally left behind when all the sugars have been extracted. It is the ultimate naturally recycled earth friendly product. Feed your students with a strong attractive product that is made from plants as natural as the foods we eat. 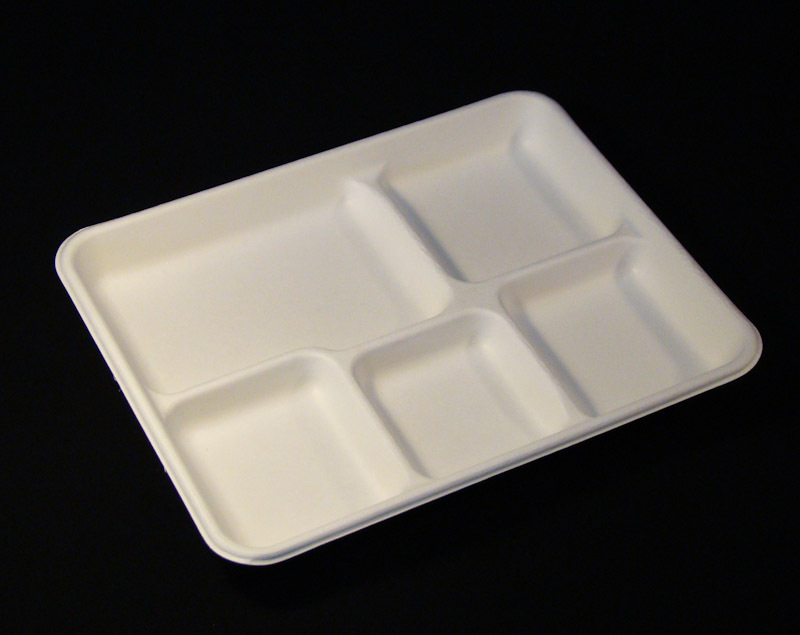 BioSelect Bagasse School Trays have 5 compartments. Products related to "BAST 5 Section Bagasse School Tray"